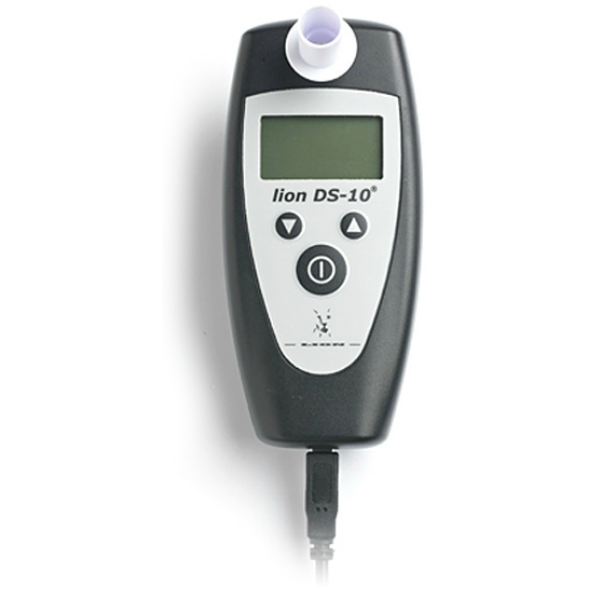 The Alcolock® DS®-10 is a tethered alcohol breathalyser which is connected direct to a vehicle immobiliser. This unit is designed to prevent any driver from starting the vehicle while over the pre-set alcohol limit, by giving a simple breath sample. 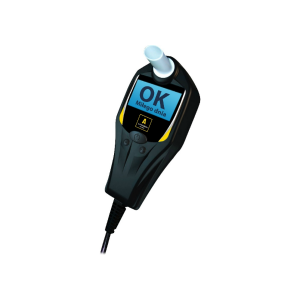 From a breath sample, the Alcolock® measures the amount of alcohol present which must be under a pre-set level to enable the vehicle to operate. The Alcolock® can be configured to accommodate any level from zero alcohol present, through to the legal limit, depending on the policy of the company or organisation. In the event of the Alcolock® detecting an excessive alcohol reading and the vehicle being immobilised, the system will re-set itself and be ready for a further breath sample to analyse. 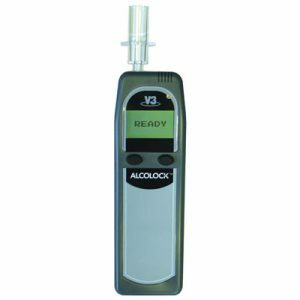 As soon as the Alcolock® reads a sample under the pre-set limit the vehicle will start and be able to operate normally. Analytical principle: Lion fuel cell sensor for alcohol analysis. 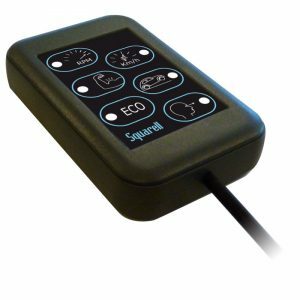 Breath sampling: The DS-10 automatically samples deep-lung air. Analytical response: Within 15 seconds, but within 10 seconds at the ‘zero’ alcohol level. Recovery time: Less than 150 seconds at 0.5mg/litre BrAC. Operating temperature: -5 ºC to +65ºC. Storage temperature: -20 ºC to +65ºC. Operating Humidity: 10 to 95%, RH non-condensing. Display: LCD graphics dimensions 47mm x 28mm, 128 x 64 pixels, with backlighting. Audible beeper: Provides auxiliary warning messages. Memory: The last 5000 test results are stored in memory for later recall if required. Memory output: Via cable to product specific download software. Disposable mouthpiece: Simple disposable easy fit HDPE mouthpiece tube. Software Configuration: Various software settings may be configured using an external PC and configuration software. Check with Alcolock ® GB for updated releases. Hardware Configuration: The DS-10 has digital potentiometers. These are automatically set in software. Dimensions: 150mm x 71mm x 32mm. 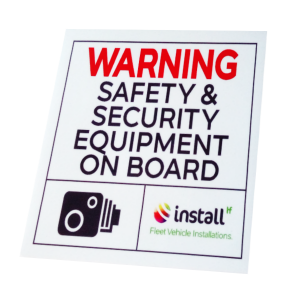 We supply a range of warning stickers to ensure your fleet meets the required safety standards. Please call and we can advise on the warning stickers required for your fleet.